A PAN card is required to be given at a number of bank transactions like opening an account at any Bank, for receiving any income, salary or professional fees. A Hindu Undivided Family, a Trust, Company or a Limited Liability partnership will be required to get different PAN Card from the owners as they have a separate legal entity. In what circumstances is PAN Card Mandatory? 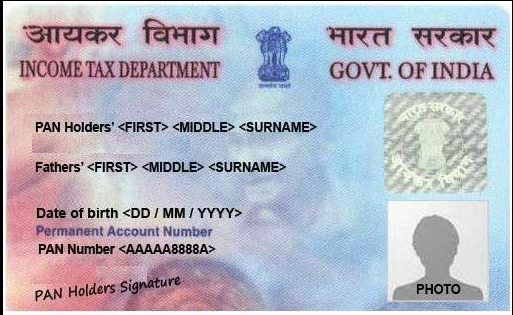 What are the documents required to apply for a PAN Card? A Copy of the Driving License of the applicant. A copy of the Bank Statement of any account of the applicant. A copy of the Pensioner Card; only if it has the photo of the applicant. A copy of any Utility Bill of the applicant like the electricity bill, water bill etc. A domicile certificate issued by the government. A copy of the CIN Number (Citizenship Identification Number) which is duly attested by the Indian Embassy or Attested by the Apostille. A copy of the statement of the Bank Account of the applicant in the country of his own residence. There are 2 ways to apply for a PAN Card i.e either offline mode or online mode. Then all the other details like the name, address etc of the applicant have to be written in the form. 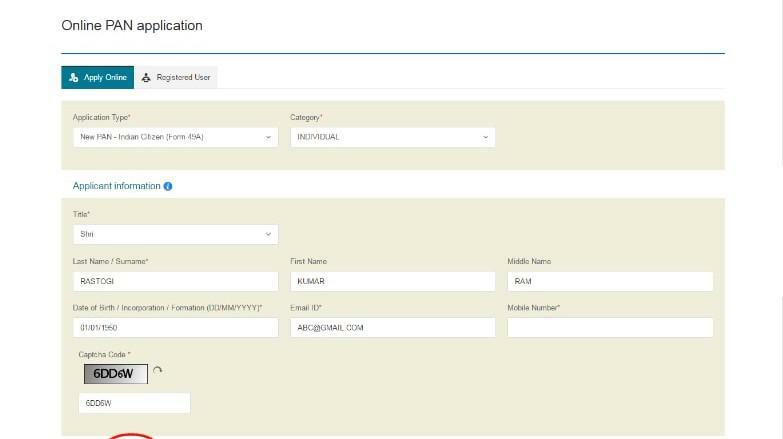 After filling up the form the Photo of the applicant in a plain background has to be pasted in the box given for the same. Two at the top of the first page of the form and one on the second page of the form at the left side. In the online mode the, the NSDL site at this link has to be opened. After submitting the page will be redirected to the payment gate and fees of Rs Rs. 110 (Rs. 93 for the processing fee and 18% Goods and Service Tax) will have to be paid. After the application reached there, it will be processed in a matter of 15 days and dispatched to the home address provided in the application. How can I get my details in the PAN Card corrected? If by any chance any detail on the PAN Card is wrongly mentioned it can be corrected by going to the following link. https://tin.tin.nsdl.com/pan/changerequest.html . After going to this web page, select the option for online application for the change in PAN Data. After clicking on this option the form will open for the change will be filled and a fee of Rs. 110.00 ( Rs. 93.00 + 18.00% Goods & Services Tax) will be paid. Or it can also be done by downloading the correction form from this link- https://www.tin-nsdl.com/downloads/pan/download/PAN-CR-Form_NSDL%20e-Gov_01.06.16.pdf and filling all the required information. After that, this form is to be mailed along with the supporting documents and the requisite fees mentioned above to any of the PAN centres of the country. The same process has to be followed that was followed while applying for a new PAN Card. How can I surrender my PAN Card? In the online mode the same form which was used in PAN Correction will be downloaded and the option of “Changes or Correction in existing PAN Data/Reprint of PAN Card (No changes in existing PAN Data)” will be selected. The required scanned copy of all the documents will be submitted along with the application, once the fee is paid and the acknowledgment number is generated it will be sent to the PUNE address mentioned above. In the offline mode, the copy of the firm will be printed and filled and submitted along with the requisite documents in the nearest NSDL centre along with the required fees.